Thank You Very Much for sharing this epic knowledge across the world! 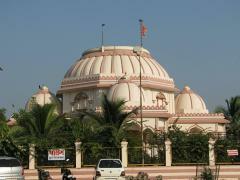 Tadkeshwar Mahadev Mandir at Valsad, Gujarat. Thank you so so much. I really, really appreciate it. Below are my birth details: DOB is 22nd Feb 1989 Place of birth is Bhopal. MP (India) (The coordinates of the place are: Longitude is 77 degrees 24 minutes EAST, and Latitude is 23 degrees 16 minutes NORTH) Time of birth is 15:33 (that is, 03:33 PM) I have been studying intraday stock trading for the last 1 year. I wish to know if I will become successful or not. Basically, my father became interested in stock intraday trading 1 year ago. He encouraged me to study the same with him. The main difference between him and me is this that I am too conservative in taking risks, whereas he is not. However, I want to enter this profession, since I have not been successful in any other field. Although I did Engineering in the Computer Science field, and have done numerous jobs in the areas like marketing, creative writing, and teaching; I was not able to remain in these fields for more than 6 months maximum. I am unable to remain in any 'job' for a long period of time. Currently, I am unemployed and Stock Trading is the only option left for me. Could someone please help me?? hi im anjaly DOB 15-April-1988 00:10 am kerala, thiruvananthapuram, please recommend me the right gemstone to wear please. Respected Members Please inform me about a few things regarding Shiva statue. Which one shiva statue is better - Granite or white marble ? What would be the best size of the statue for a home temple of a Brahmin family ? Please any knowledgeable person help me soon . Dear Esteemed Members, I have Lost everything since august 2017.All my efforts are unfruitful. I have lost my House,Household,My wife and 3 year old Daughter were forcefully taken away from me and are staying in an ashram. I don't have any income and all my efforts are not bearing any fruits. I am loosing my mind and supposedly my jana guru is starting from october 11. I need help. What remedies can i do for janma guru in scorpio. Hi all, I born on morning 6:55 Am India at Lat. 24.84(N) Long 93.01(E). I am unable to settle down in career. When ever I got a promotion after that problem started with other side. Can you please help me with that to figure out why it is happening and how could I get out of that problem.. Please help me. My D.O.B is 15/03/1999 at 6;04 p.m at madurai T.N, i have leo lagna, venus in 9th house and yogakaraka mars in 3rd house(parivartana yoga) also mars is A.K and venus is Arudha lagna lord and is in vargotama Can i wear diamond and coral together to augment the effects of dharmakarmadhipathy yoga? Sir, My details are as follows: Date of Birth: 04th August 1985 Time : 11:57 AM Place: Pune, Maharashtra. Following are details of my husband Date of Birth: 15th September 1983 Time : 06.:08 PM Place: Bijapur, Karnataka We do not have kids till date. We would like to know whether are there any chances of conceiving twins as we would take up only one chance for kid. I am going through Horrible Rahu mahadasha , I am suffering from extreme depression, humiliation from relatives, outsiders etc. I have attended no of interviews but not even one was cleared, Even those who were less talented than me. I am facing challenges every day. My mother's health is becoming worse. Anyone with a good heart, Please tell me will I ever get good days? My details: 13th July 1996, Morning 5 am, Place: Nalgonda, Telangana. Please tell me the reason what planetary combinations are making my life hell, and when will i get good days. If i will never get good days, Please tell me I will not live anymore, Such is my situation now. Hai All. My parents seeing groom for me. We got one jathagam from co-worker we like each other. They gave his jathagam to us. He s Mirusarisam Nakastra 1st padam. Mine s Ayilyam 1st padam. We saw jathagam one guy told u can do marriage. Another one s its doesn't match also he is telling after 2years guy will suffer from some skin allergy and all. But i really like him alot. Can u ppl please help me to sort out this.